For this Feature Friday we sat down with Nate Devillers, Owner of Pepperbox Doughnuts. We’re super-excited for Pepperbox Doughnuts heading to South End and know they’ve been hard at work opening their first brick and mortar store. It’s time for our #MemberSpotlight! This month we’re excited to introduce you to Assaf Weinberg. Assaf joined us here at The Mill Coworking a couple months back and has been hard at work ever since. Assaf is a software engineer working remotely for StackRox, a Silicon Valley based startup. StackRox develops an information security platform for cloud native applications - or as Assaf calls it, "computer stuff". He was recently given the opportunity to open a new office in Charlotte and chose The Mill as a perfect spot for the new team. Assaf has been doing "computer stuff" professionally for over 20 years, most recently founding and managing the Design practice at Levvel, a national IT consulting firm serving F100 companies. While he's spent the past 5 years in big company consulting, he's a startup guy at heart. He's founded several early stage startups in the travel and political space, serving as CTO of DC based Ruck.us and UI/Product lead for NYC based Routehappy (Sold to ATPCO). He got his bachelor's from Bucknell University with dual majors in Computer Science and Economics. That was a long time ago, but he's still interested in the intersection of technology, economics, and society. Bring up any of those topics and you'll find yourself talking philosophy in no time. He's interested in renewable energy, sustainable transport, and the future of energy distribution. He even once created and launched a rogue Tesla shopping website as a weekend project. When he's not working, reading, listening to podcasts, or otherwise learning about his latest topical obsession, you'll find him biking the rail trail with his two boys (6 and 10) or writing applications together. Check out this Roblox app designed by his 10 year old - https://roblox-shirt.now.sh/about. It’s officially February and we’re putting a twist on feature friday and going outside the neighborhood. 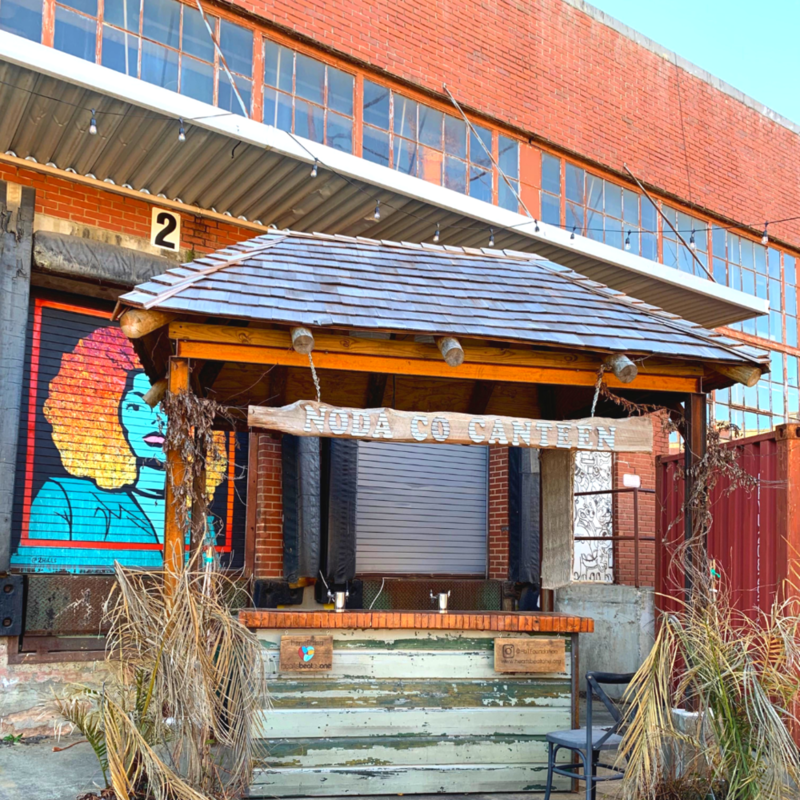 This week we’re talking about a little hidden gem placed perfectly in the middle of Charlotte’s major neighborhoods, Camp North End. This 76-acre historical site known for once making army missiles and Model Ts is now home to 31 different tenants from art galleries to coffee shops. The moment you step out of the car you realize you’re somewhere special. Once you’re done gazing up at the giant water tower, the old warehouses immediately catch your eye, covered in bright, incredible murals. 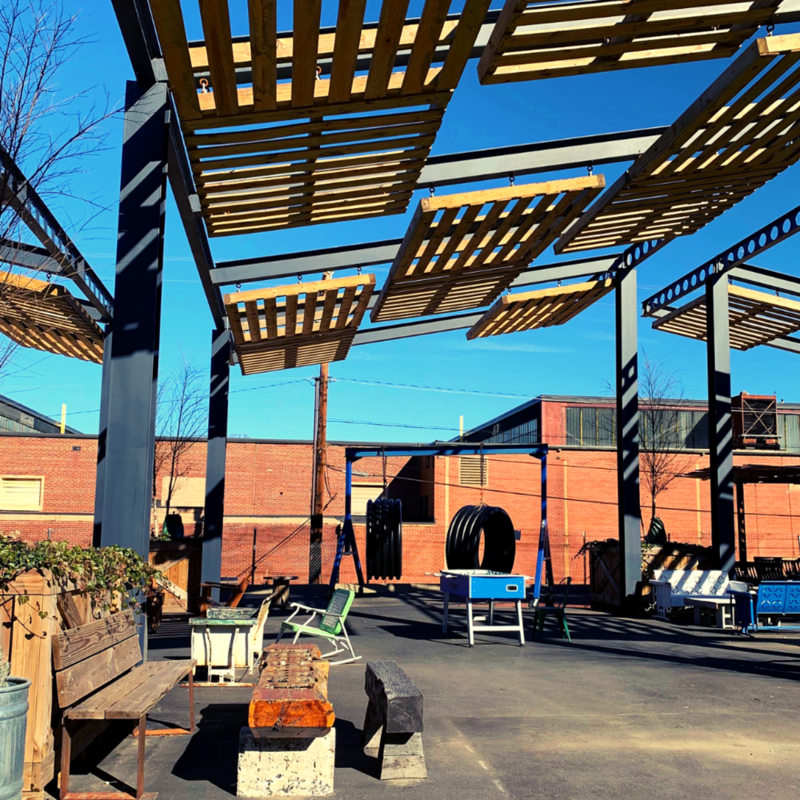 Fire pits and plenty of seating are scattered throughout the Boileryard (including 2 giant tire swings!). Camp North End really knows how to put on some great events as well. 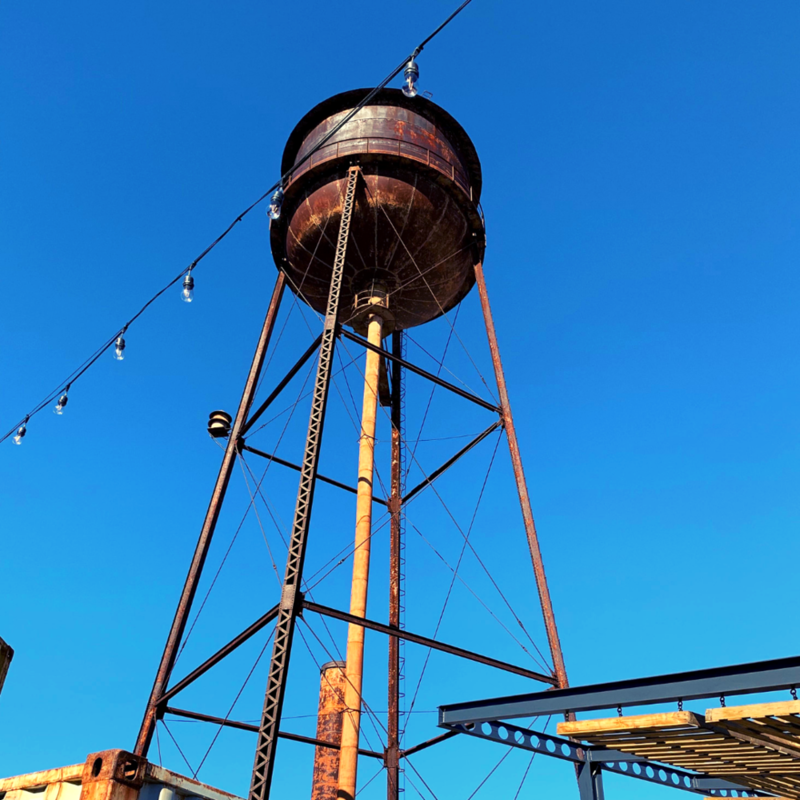 Head out to the Boileryard on Friday nights (March-October) for live music, drinks from NoDa Canteen, and a great time with friends. The first Saturday of each month (March-October) you can also head to Morning Markets from 9am-1pm. Besides the steady events, you can check out their event calendar for tons of different ideas for a night out. Think anything from food classes to art galleries (rumor has it that Paint Along with Bob Ross will be back for Valentines Day this year). 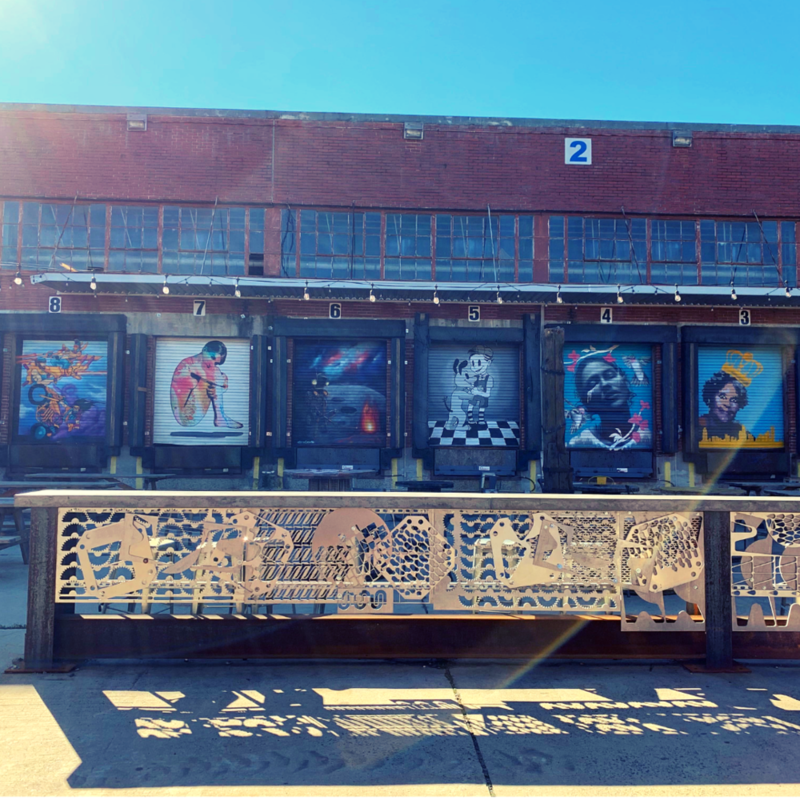 If you’re looking to step out of South End for a bit and have a truly unique experience, we highly recommend planning a night in the Boileryard! March can’t get here quick enough. It’s time for our #MemberSpotlight! This week we’re excited to introduce you to one of the very first people to tour The Mill Coworking & start their journey with us, Jameka Whitten! Jameka S. Whitten owns and operates JSW Media Group, a boutique brand management and public relations firm focused on the entertainment, fashion, music and publishing fields. JSW Media Group is headquartered in Charlotte, NC with satellite offices in Atlanta, DC and New York City. JSW Media Group current and former clients include professional athletes, celebrities, Emmy and Grammy Award winning music artists, well known charitable organizations and other community groups. JSW Media clients have been seen in a wide variety of local, regional and national media platforms including Essence Magazine, Heart & Soul Magazine, Redbook, TV One, VH1 and Black Enterprise. 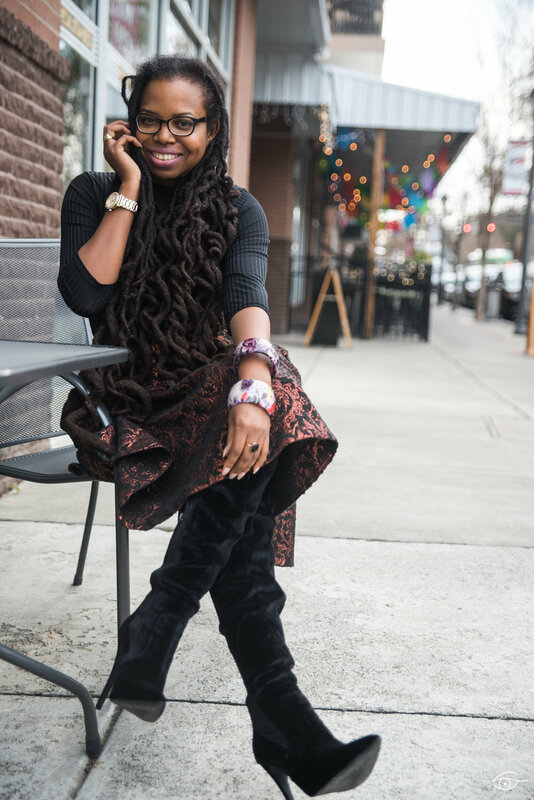 Prior to working at JSW Media Group full time, Jameka served as the Co-Founder and Executive Creative Director for SOTAC (State of the Arts & Culture) Magazine and worked in digital media and events at ESPN, Inc. Jameka is also a lifestyle blogger and freelance writer with 18+ years of experience. In addition to owning JSW Media Group and serving as CEO, Jameka was the National Communications Director for The Red Pump Project®, a national nonprofit that educates women and girls of color about HIV for close to 10 years. Because of her efforts as a member of Team Red Pump since its inception in 2009, Jameka received the 2015 Red Ribbon Leadership Award from Regional AIDS Interfaith Network for leadership and service in Charlotte’s HIV/AIDS community. Another notable honor includes being named one of the “Emerging Leaders” in the 2017 Edition of Who’s Who in Black Charlotte. She holds a bachelor’s in Communication Studies with a concentration in Broadcast Journalism from Northwestern University and a master’s in Organizational Management from University of Phoenix. She is the vice president of the Northwestern University Alumni Club of Charlotte, president of the National Association of Black Women in Music and Entertainment’s Charlotte chapter, and a member of Charlotte Area Association of Black Journalists, an affiliate chapter of the National Association of Black Journalists. Believe it or not, Jameka is afforded spare time occasionally. And she uses every second wisely by catching up on a good book, writing or investing her time back into the community. She is committed to philanthropic causes and esteems the idea of making a significant difference in the lives of others. She is an avid coffee drinker who believes that a night out on the town is not complete without a properly chilled bottle of champagne on the ready. Feature Friday: Lenny Boy Brewing Co. Happy Feature Friday, guys! This week we’re excited to be featuring one of our favorite breweries in South End, Lenny Boy Brewing Company. We had the pleasure of talking to Nathan Villaume, owner of Lenny Boy Brewing, about why they chose South End for their location, what inspires them, and so much more. Photo provided by Lenny Boy Brewing Co. The culture you find at Lenny Boy is one that is hard to beat. 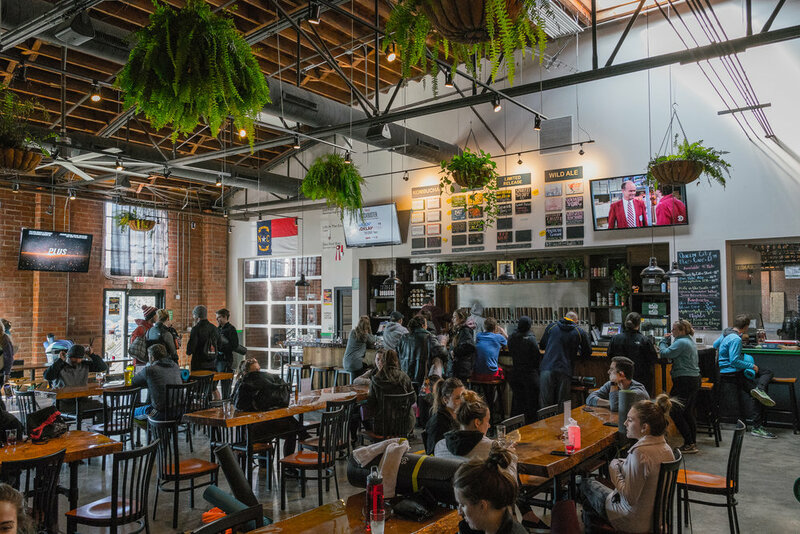 On top of delicious drinks and food, Lenny Boy Brewing constantly has something exciting going on in the Taproom. Check out some of their can releases or even their live music. Looking for something to do weekly? Try out their yoga on Saturday or their trivia on Wednesdays. The Hunter’s Wife food truck is also on site most days of the week if you’re feeling hungry! One of our personal favorite things about Lenny Boy is the viewing windows they have that allow you to get a sneak peek at their hard work in action. January is one of our favorite months! It’s the start of a new year which means new goals to crush and new ideas to bring to life. Ultimately, everyone’s goal is to do or be better at something which is why today we’re talking about 5 ways joining a coworking space can better your business for the new year! As a business owner, you know how tough it is to protect your overhead. For many, your biggest expense is likely your office. That’s where coworking comes into play! Coworking opens the door to flexible memberships for each members needs along with tons of included amenities. With coworking, some of your biggest expenses are already included in your monthly membership fees. No more worrying about footing the bill for WiFi, electricity, parking, printing, meeting space, or even coffee! What could be better than everything being packaged up into one price?! Everyone is at least somewhat competitive, right? We’re all just trying to make sure that we’re keeping up with the next big move. That being said, nothing is more motivational than being surrounded by a room of like-minded individuals. Consider it a little positive peer pressure. You will find yourself wanting to keep up with the pace of your peers, ultimately making sure that you’re staying on track to achieve your goals. For many, networking is one of their biggest challenges. This can be due to a multitude of things, such as not being able to find the time or even having anxiety towards being around lots of new people. Networking becomes so much easier when you join a coworking space. You’re immersed into a community of people that are all after the same thing you are- success! Even better, they’re even here to help cheer you on. Find support from people you may never even have had the opportunity to encounter. It can be difficult to separate work and home when you work where you live. With coworking experience the feeling of balance again by having a space dedicated solely to work and a place dedicated to relaxing! Crush your to-do list and head home knowing that your desk will be ready and waiting for you when you’re ready to get back at it! One of the coolest part of being a member of a coworking community is seeing all your peers ideas coming to life. This helps light a fire inside yourself to achieve all your goals as well. You never know, seeing how your peers tackled adversity with a new challenge could help you find the answer to tackling yours! This also comes into play with the expansion of your network. Maybe one of your fellow members is also your next business partner? It’s our favorite day of the week, #FeatureFriday! This week we had the pleasure of chatting with Alesandra at Leroy Fox South End. Located on the corner of Camden Road in the building next to Price’s Chicken Coop, Leroy Fox is South End’s neighborhood go to for enjoying delicious fried chicken in a classic Carolina atmosphere. When talking to Alessandra about what made Leroy Fox choose South End for their second location she said, “We love the history that stands behind South End along with the growth it’s taken on. When we were given the opportunity to create a beautiful restaurant in an already well-known and historic neighborhood, we couldn’t wait. We love the close-knit community, the inspiration you see and hear of on every street, and the exciting events that are always taking place. Those that are in this community are ecstatic to be here.” It doesn’t matter if you’re looking to host your next party, grabbing some food and enjoying the game with some friends, or enjoying an intimate dinner, Leroy Fox is the perfect experience. Full of excellent service, delicious food, and tons local art and flat screen televisions lining the walls you can’t help but feel at home when you’re here. Alessandra explained that their “food and drink programs take lots of thought and many many rounds of practice and cooking in test kitchens to get it just right-just how we would want to see it/order it/experience it.” The amount of time and effort they put into their entrees doesn’t go unnoticed. 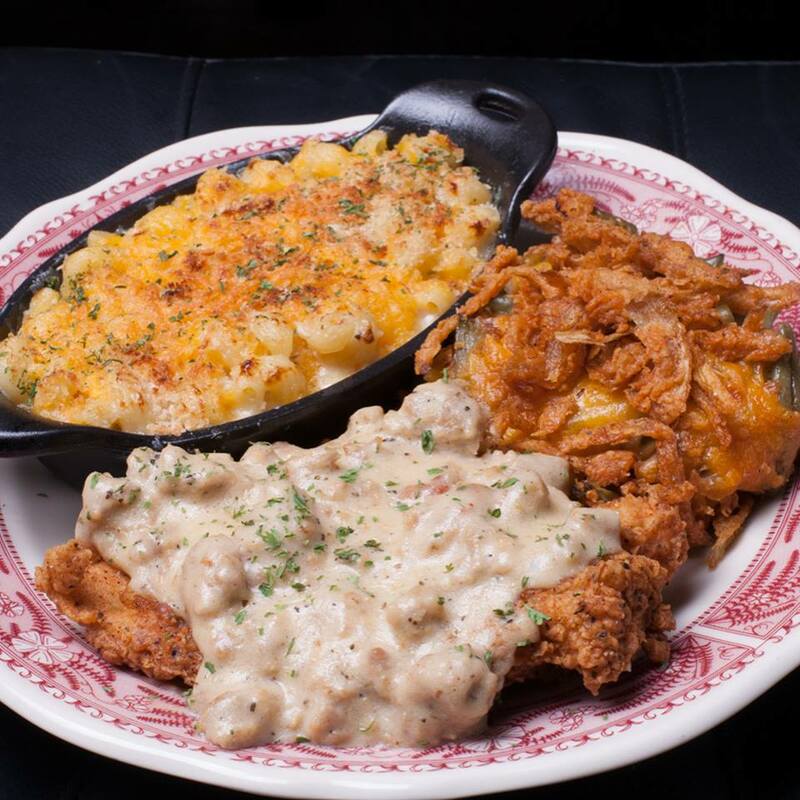 Their menu is loaded southern classics such as perfectly fried chicken and shrimp and grits. You can’t forget the pretzels either! If you haven’t been, we highly recommend starting off your first visit with the pretzels served with honey mustard and queso. 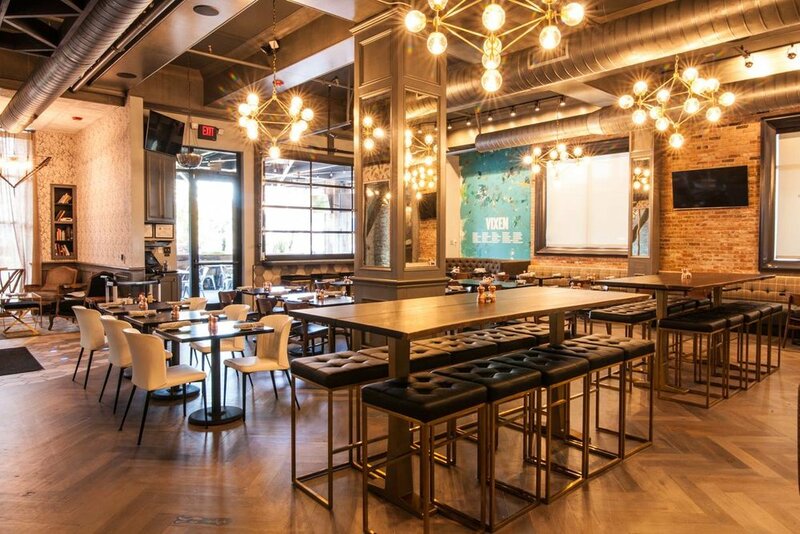 Next time you’re looking for a delicious southern meal in the perfect environment, head on over to see our friends at Leroy Fox (and really, don’t forget the pretzels)! The last few weeks we’ve gone over why coworking works and the different levels of memberships offered at The Mill. This week, we’re excited to introduce our NEWEST and final level of membership, Hot Desks! The Mill Coworking will now have 2 Hot Desks available for members. A Hot Desk in simple terms is a Flex Membership with a slight upgrade. 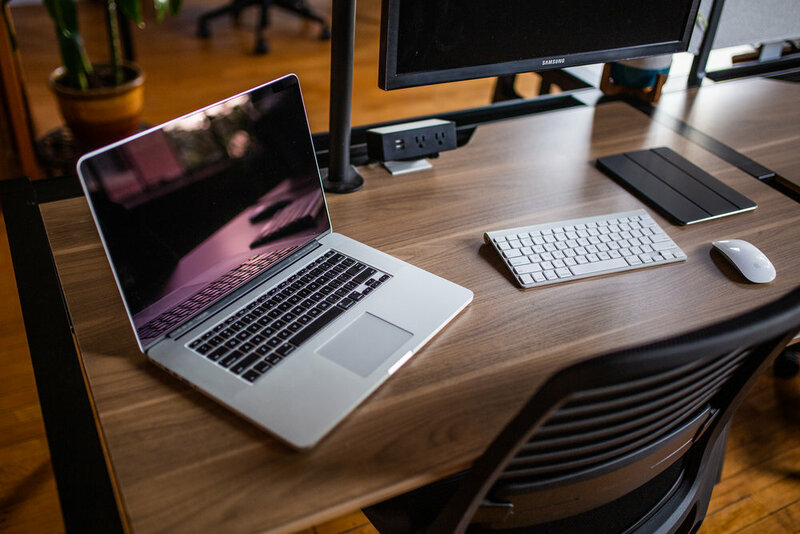 When you become a Hot Desk member you are granted the same access as a Flex Member but with the option to book out one of the two Hot Desks available 10 days a month. Reservations must be placed 24 hours in advance and will be a first come, first serve basis. Desks will be equipped with monitors so that you can plug in and get straight to work! Each desk is also equipped with 2 USB and power ports. No worries, if you forgot to book a desk but still have some work to get done, you will have full access to our cafe style seating and conference rooms as well! So, who does this work for? Anyone really but if we’re talking specifics, The Mill created Hot Desks with our travelers, photographers, free lance writers, and creative workers in mind. We get that you might not need to be behind a desk Monday-Friday 9am-5pm to be successful at what you do! We also get that everyone has a few days a month where they just need to sit down, focus, and get it done. Our goal was to create a membership for these people that still allowed the flexibility while providing them with a pristine set up to focus when needed. Hot Desk members will receive the same amenities our other members enjoy as well! That’s right, a desk when you need it, free coffee, printing, and WiFi daily, member events, and a network of people to cheer you on all wrapped up and waiting for you. All you have to do is take the leap. So what are you waiting for? Schedule your Free Trial today and see what you’ve been missing!